For centuries, men have given their lives to construct the pyramids. Tools were fashioned out of human bone, mortar was made by human feet stomping water, earth, and straw, and movement of massive stones was usually in the way of slaves and woolly mammoths. These structures have stood the test of time, as well as war and social movements. The architecture is unworldly and sometimes bizarre, yet they still remain the world's most interesting and spectacular marvels. One of those inspiring structures is the Pyramid of Giza which is still standing 2nd Century BC. "Callimachus of Cyrene, Chief Librarian of the Alexandria Mouseion, wrote "A Collection of Wonders around the World." According to the original list, the Pyramid of Giza was one of the first added to the list. For hundreds of years, pyramids were constructed to serve as tombs for the kings and queens of Napata and Meroë. The first of these was at el-Kurru, including the tombs of King Kashta and his son Piye (Piankhi), together with Piye's successors Shabaka, Shabataka, and Tanwetamani. Fourteen pyramids were constructed for their queens, several of whom were prominent warriors. The most extensive Nubian pyramid site is at Meroë, where during the Meroitic period over forty queens and kings were buried there. The Pyramid of the Sun is the largest building in Teotihuacán and one of the largest in Mesoamerica. The pyramid is situated along the Avenue of the Dead, in between the Pyramid of the Moon and the Ciudadela, and in the shadow of the massive mountain Cerro Gordo. The Aztecs visited Teotihuacán centuries after it was abandoned and named the pyramid at this time. The first phase of construction was around 100 A.D. What resulted from the initial construction is what we still see today, however the second phase of construction saw the formation of an alter top which has not survived the times. The Pyramid of Cestius is pyramid located in Rome, Italy It stands between Via Ostiensis and Via della Marmorata and remains one of Romes most well maintained and preserved structures. The Temple of Kukulkan, often referred to as "El Castillo" is the typical Mesoamerican step pyramid with stairways up each of the 4 sides to the temple on top. During the Spring and Autumn equinox, shadows cast images of serpents slithering around with the movement of the heavens. El Castillo is quite fascinating in that it contains a sort of puzzle box. With each layer , there lies another temple, pyramids, and secret passageways. During the 1930's, the Mexican government excavated a tunnel from the base of the north staircase, up the earlier pyramid’s stairway to the hidden temple, and opened it to tourists. In 2006, INAH closed the throne room to the public. In Argolid Greece, there lies the Pyramid of Helliniko which doesn't have a voice. Little is known about it's history. Although remarks made by Pausanias indicates that the stucture has great value. One of the most recognizable of pyramids is located at the site of Chichen Itza located in the northern center of the Yucatán Peninsula, in the Yucatán state, present-day Mexico. The architecture is diverse, combining the use of Mayan styles and contemporary interpretations. This may have in fact been the result of a divide is societies. In the middle of the desert, the Great Ziggurat of Ur , meaning "House whose foundation creates terror, is an ancient Sumerian ziggurat in Dhi Qar Province, Iraq. The ziggurat was built for the moon god Nanna by King Ur-Nammu and his son Shulgi in approximately the 21st century BC during the Third Dynasty of Ur. 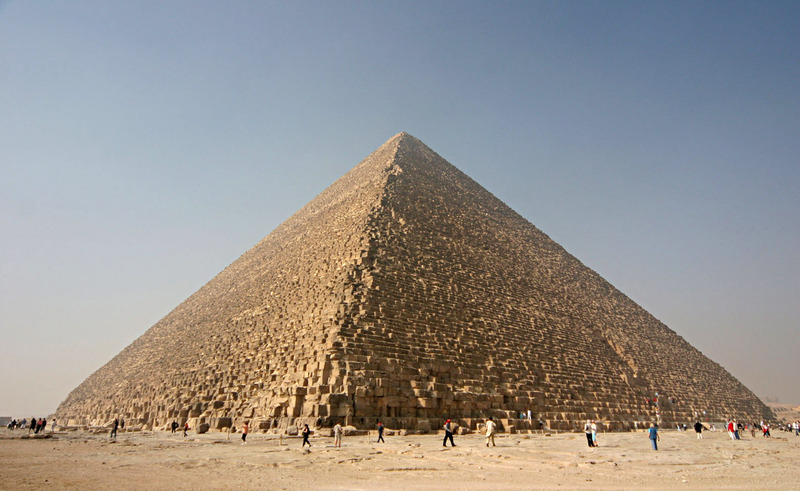 The massive step pyramid measures 210 feet long, 150 feet width and over 100 feet high. Struck Gold! Bizarre Find in the "Land of the God"
Trudy Ring, Robert M. Salkin, Sharon La Boda. International Dictionary of Historic Places. Fascinating. I already knew about some of the pyramids in Egypt and South American, but nothing about the others. I'm going to look up a couple of them to find out more. I'm surprised to hear mammoth's being used to build the pyramids. I always assumed they only lived in cold snowy climates. Although it does seem odd that the mammoths would be carrying stones, however research has shown that previous ancestors, a type of mammoth, were found in warmer climates. Strange as that may seem, but geologists of the time believed the fossils of mammoths pointed to a once warmer climate in Siberia and several other countries. I've visited the pyramids of Chichen Itza and it was an amazing experience. They steps are so narrow you have to turn your feet sideways to make it up to the top. The other pyramids you referenced are all on my list of "Places to visit before I croak". Thank you for the pictures!